What you eat affects what you weigh, and dietary fat is no exception. Dietitians, nutritionists and scientists vary in their recommendations on how you should divide up your calories if you want to lose weight, but it's possible to slim down with either a high-fat or low-fat eating plan as long as you're consistent. Dietary fat is an essential nutrient, meaning it provides nutritional compounds necessary for good health that your body can’t make on its own. Fats are necessary to absorb certain vitamins, insulate the body and protect cells. 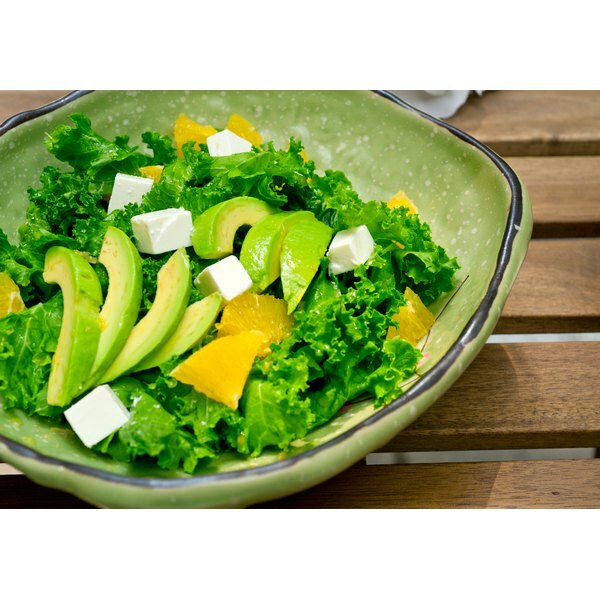 The Centers for Disease Control and Prevention recommends healthy adults get between 20 and 35 percent of their daily calories from fats, regardless of whether they are trying to lose, maintain or gain weight. Dietary fats can be either saturated or unsaturated. When trying to lose weight, it’s healthiest to focus on getting the bulk of your fat calories from unsaturated fats. Those “good” fats may help lower blood cholesterol levels and reduce your risk of cardiovascular health problems, which are more likely if you are overweight. Unsaturated fats are found in avocados, seeds, nuts and nut butters, and fats that are liquid at room temperature, such as olive oil and canola oil. Limit saturated fats, like those that come from butter, red meat, processed meat and full-fat dairy, to no more than about 16 grams daily. Dr. George Bray of the Pennington Biomedical Research Center says that people can lose weight whether they’re eating a lot of fat or a small amount as long as they reduce their overall calorie intake. Bray and colleagues conducted a study published in 2009 in the “New England Journal of Medicine” showing that during a two-year trial period, overweight subjects lost similar amounts of weight with calorie reduction whether they got 20 percent of their calories from fat or 40 percent of calories from fat. There was no significant difference between how hungry or satisfied participants felt on the two diets, either. Other clinical trials have discovered that following low-fat diets results in steady and sustainable weight loss. A research review published in 2000 in the “British Journal of Nutrition” examined the results of more than 15 studies on dietary fat and body weight and concluded that carbohydrate and protein foods are more satiating than fats. That means if you reduce your fat intake and consequently increase the percentages of protein and carbs in your diet, you may feel fuller with fewer net calories and lose weight even without conscious calorie reduction. Before you make any major changes to your current eating plan, talk over your weight-loss strategy with your doctor. Is It Better to Watch Fat or Calories to Lose Weight? Why Are Fats Important in a Diet?